Photo EXIF Reader is a free utility to open, preview, and read EXIF data on Microsoft Windows 10, 8.1, 8, and all its earlier version. It is a standalone utility i.e., does not require any native application to get geotag info from photos. One Image at a Time: User can select one image at a time and view internal properties of only that photograph. Select Image Folder: Another approach is to select whole folder that comprises of hundreds or more images in it. The software supports images of all file format like jpg, jpeg, png, gif, etc. Moreover, the tool loads the photograph in center pane of the viewer window without any hassle. The picture loaded on screen is same as the time when it was captured by cameraman. The details of images like capturing time, creation date, accessing time, modified time, etc., all are shown by this free EXIF data viewer. Moreover, the name of digital camera from which picture is clicked, is also displayed by this free data file reader. A user will also be able to get geotag info from photos with help of EXIF viewer for free. Moreover, while seeing an image clients can zoom, adjust, and change the dimensions of picture for viewing photograph in a desired manner. Whenever an image is loaded on local machine it is either in jpeg format or any other image format. A secondary file is also attached with these image file format i.e., EXIF file. This file is very useful for performing investigations on captured images. 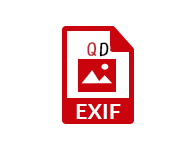 The term EXIF stands for Exchangeable Image file format that comprises of descriptive details of a photograph. This data file comprises of information like date, GPS, and other copyright/legal attributes of a picture. If a cameraman is using a phone or digital camera with GPS feature, then EXIF file also stores the geolocation of that picture. In order to get EXIF data on Windows, one way is to view properties of the image. However, there is a limitation of this method that users will only be able to see the basic information of an image (not the advance attributes of images). Therefore, to examine image files with both advance and basic details the appropriate way is to use Free EXIF GPS Viewer. A person only needs to select or drag-n-drop the image in center of the viewer window and then he will easily be able to view image as well as its related details. How to find exif data of Facebook photos? "A picture is posted on Facebook and I need to view internal properties of that image to gather some legal evidences. Please suggest me an advance solution to view its EXIF file." How to check data of Photo with free EXIF data viewer? "I have an image which is clicked from my smartphone. However, I want to know whether the GPS was enabled when I was capturing the image or not. Will your utility help me out in finding out about the same or not?" In order to check data of Photo, you just have to browse the file on viewer and within few milliseconds the picture will get loaded on the screen. Moreover, if the GPS is enabled while clicking photo, then you will get geolocation from a photo details and thus you will be able learn that whether GPS was enabled or not. If the JPG file is corrupted, then also will this photo location finder utility work? Yes, the software is capable of handling corrupted image files and thus you will be able to examine EXIF data. I was having an image whose geolocation was not shown in Photoshop. Therefore, I searched for free viewers that supports my JPEG file and display all its copyright information on screen along with geolocation. Then I came across your application, it helped me in accomplishing my tasks without any extra efforts.